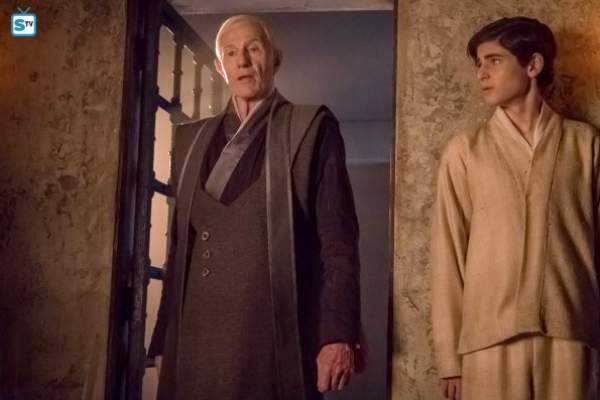 Gotham Season 3 Episode 16 Spoilers, Promo, Air Date: Season 3 of Gotham returned after a long hiatus and will keep the momentum going on with the next week’s episode. It is entitled ‘Heroes Riser: These Delicate and Dark Obsessions,’ directed by Ben McKenzie and that’s it what keeps it different from the other episodes. It is like his directorial debut on the show. At times, you come across actors directing the episodes of their own show, that is the time when they see them missing in actions. It’s not 100% true always. And the example can be taken from this episode as the some detailed have been unveiled by the network, FOX. It is going to be an important episode as clear from its synopsis. It’s because Bruce has started getting real information/secrets of the Court of Owls. Eventually, the mystery will start unveiling and will lead to discovering one of Ra’s al Ghul. He will play an important role as the season moves towards its end. And rest depends on the writers as for how they are planning to use him. He could be a central character in season 4 if the show renews. Gotham 3×16 synopsis reads the following. Gotham S3E16 will air on May 1, 2017, on the FOX at 9 pm ET. Stay tuned to TheReporterTimes for latest Gotham spoilers and other TV shows’ updates around the world. Previous articleiOS 10.3 Jailbreak Release Date & News: Unlikely With Apple’s New AFPS?